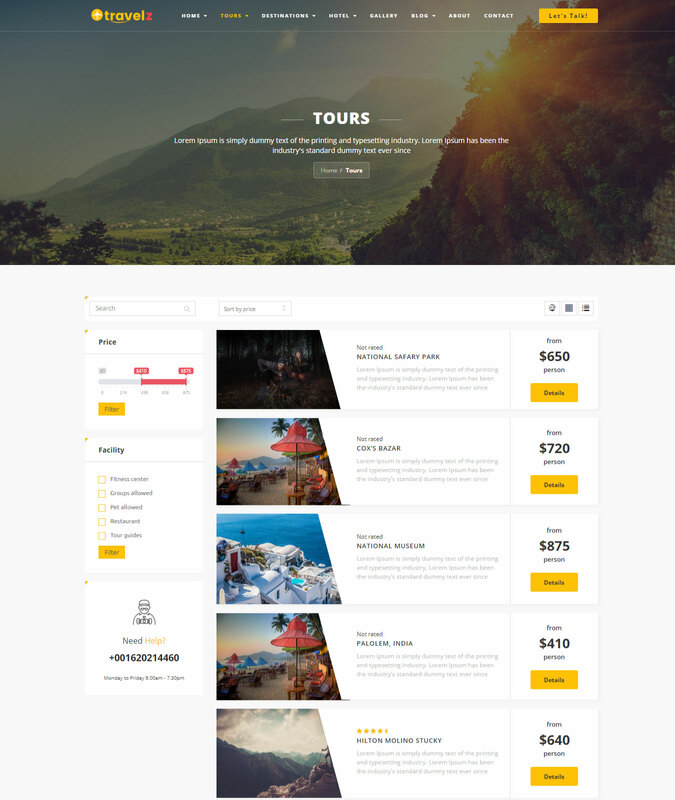 Travelz is the most responsive travel wordpress theme that is crucial for managing travel & tour agency online.It has 50+ easiest features to manage every single online booking, tour, destination, hotel & tourism offer details with no second without any coding knowledge. 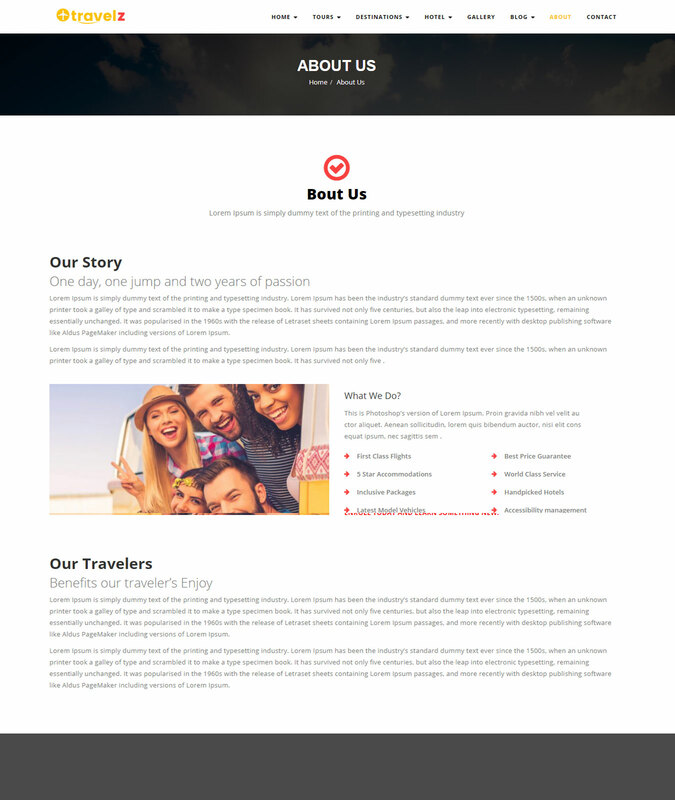 Having the “Travelz” WordPress Theme would bring the supersonic power to you to run your business properly & smoothly. 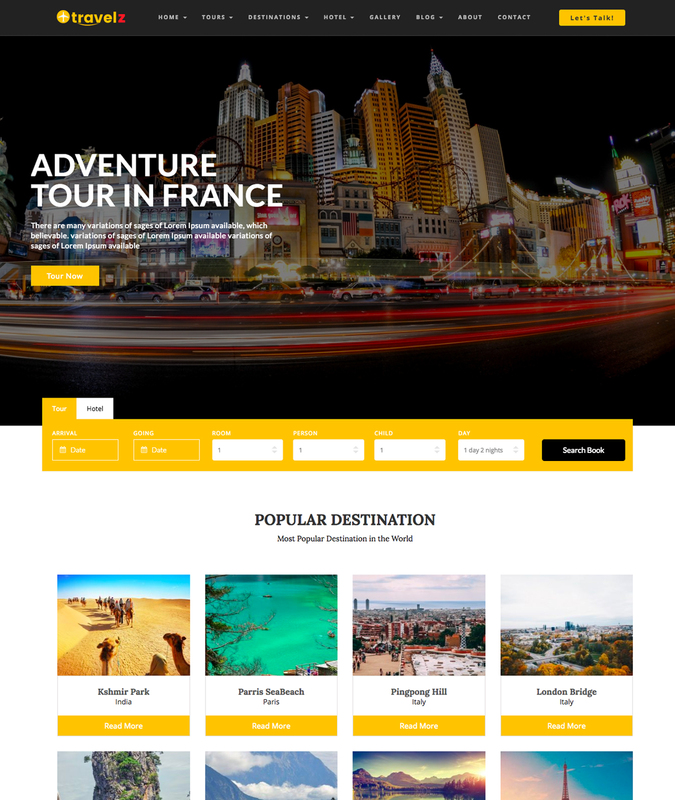 Travelz is the modern Travel and tour facility based WordPress Theme that will boost your business undoubtedly. 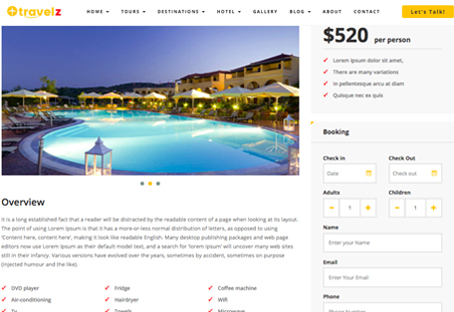 Travelz, the most responsive travel Wordpress theme is developed by BDTASK keeping in mind the functionality of travel & tour agency, travel booking company, trip & tourism organizing authority .etc.This booking Wordpress theme has a plethora of features like Tour, Hotels, destinations, Content management(blog), Gallery and many other important options. 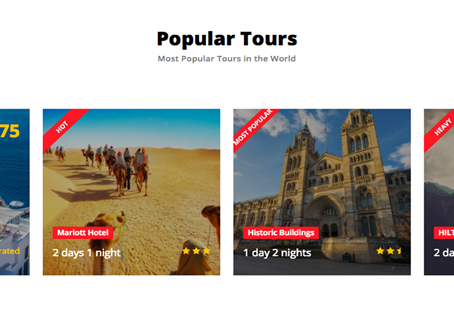 Online Ticket and hotel booking is the common things at the digital world.people want to book their hotel or tour from home.You can offer a custom tour package by online tour management feature. 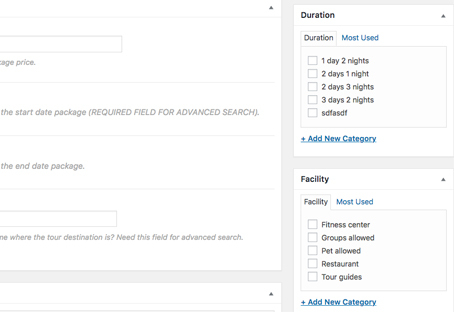 Visitor would be able to search available tour facilities offered by you & booked online. 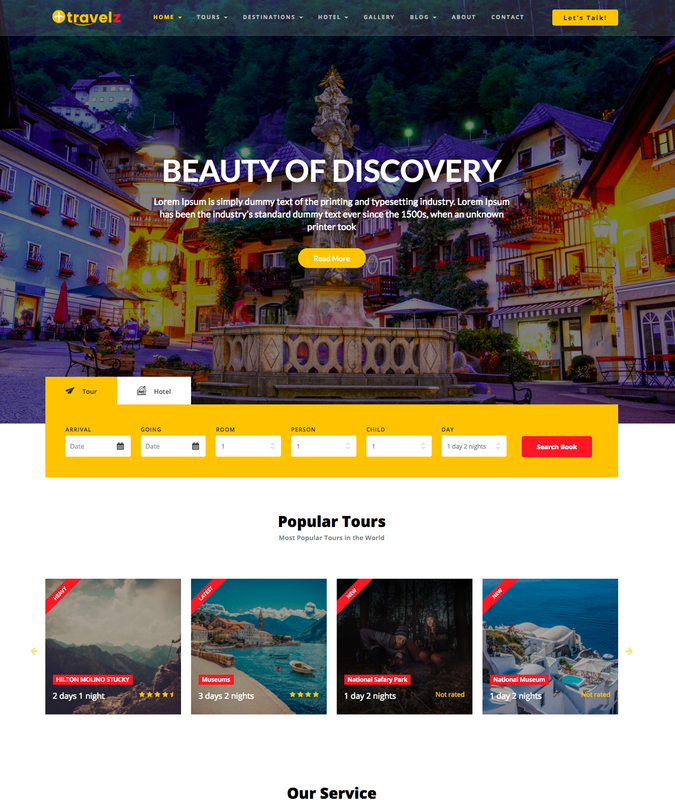 Tour option is for making popular tour & trip visible to your search traffics.Popular tour is counted by based on customer search.It has also 5 star feedback system. 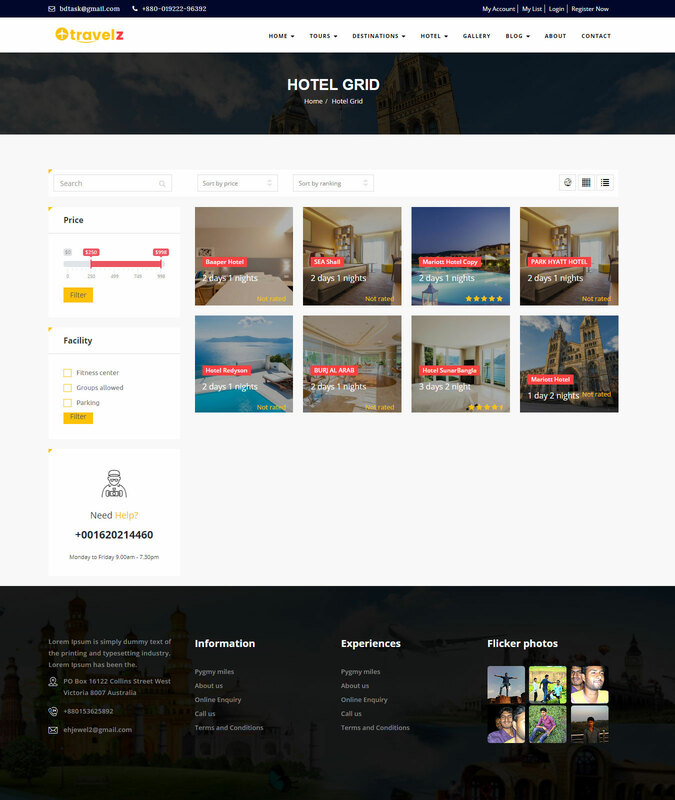 To run the tour and hotel booking business, you may need to advertize the different places image at your website.We keep that option for you.Record your beautiful destination and tourism spot with all important facilities and attract customer. 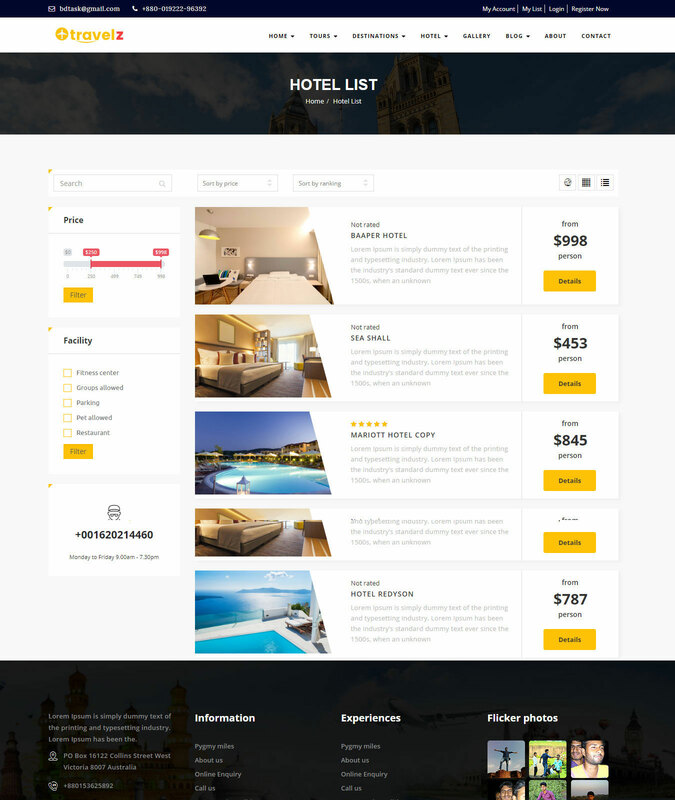 Customer usually see the visual picture or review of the hotes before booking.We added the hotel booking and feedback system.By Hotel menu you can promote your affiliated hotel facilities to your client. 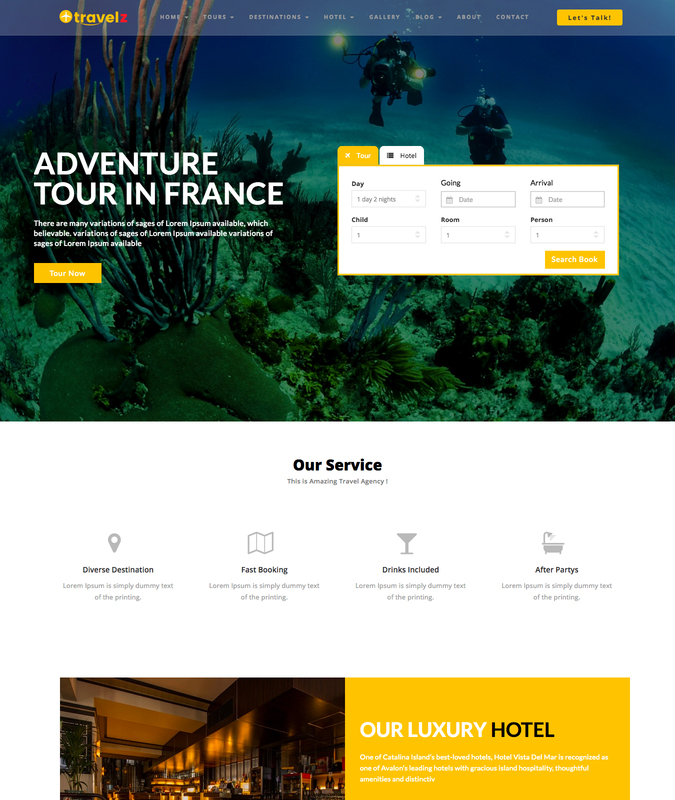 Travelz is the most creative and attractive WordPress Theme to run the travel or hotel business.We keep here two different types of footer design , you can choose any of the design. 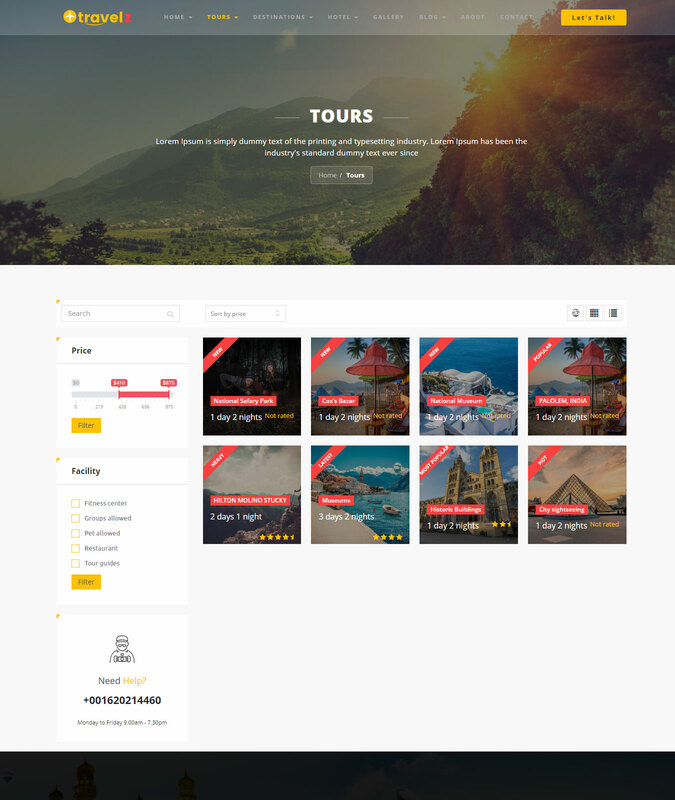 Travelz has very organized travela nd tour package adding system.here you can add the tour all the information what is useful to the customer.The Customer can also give you feedback. 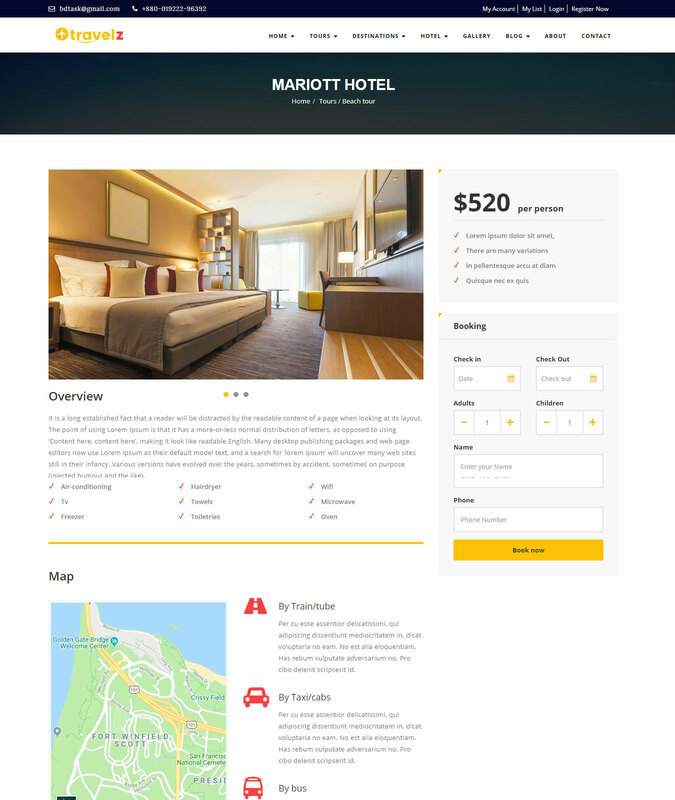 Travelz WordPress Theme is design thinking on tour and hotel business. 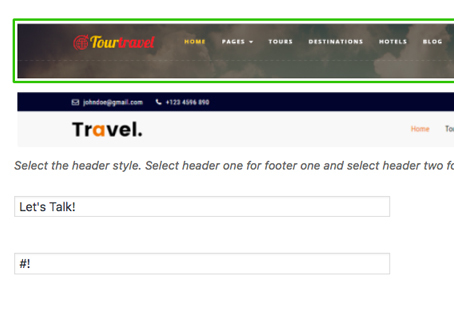 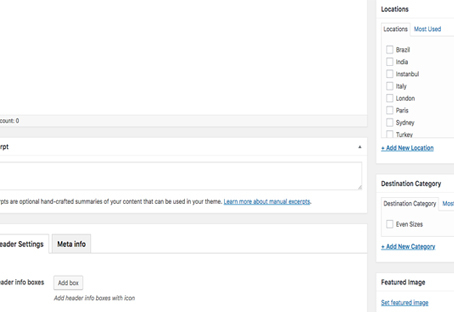 Here ahve multiple Header and footer style layout.Whatever you like, you can chnage from the theme option. 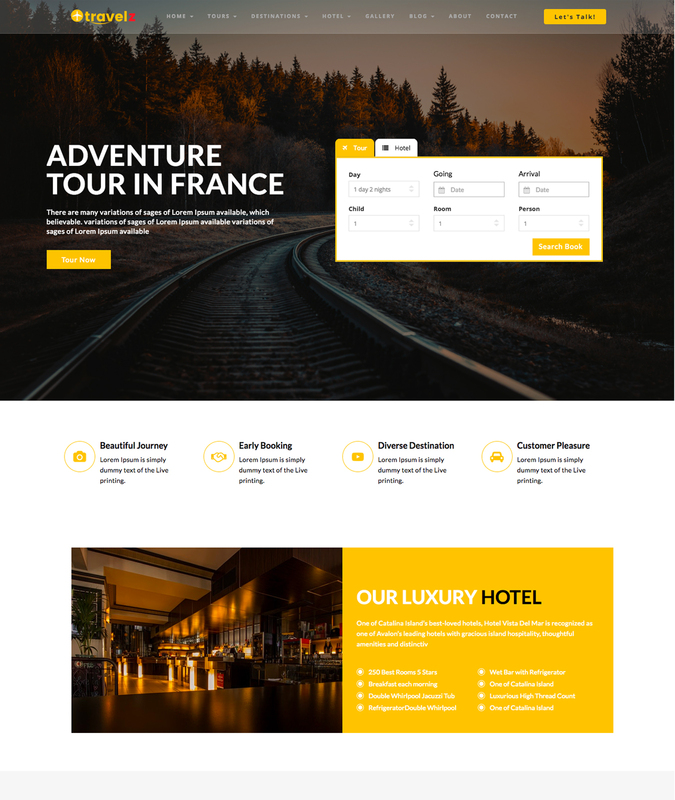 Nobody like work more and do not want to spent more time to design his website pages, Thats why at travelz Theme we added the 170$ Premium visual composer.Now you just design your WordPress Theme pages with drag and drop . 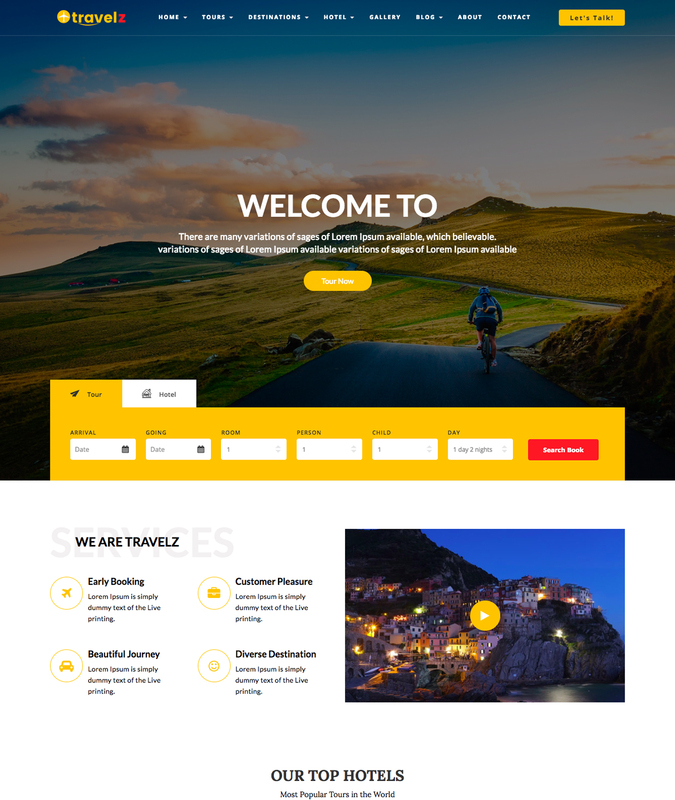 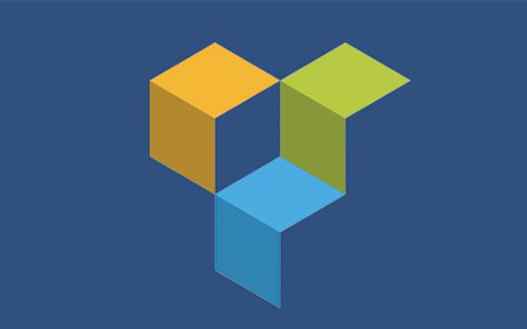 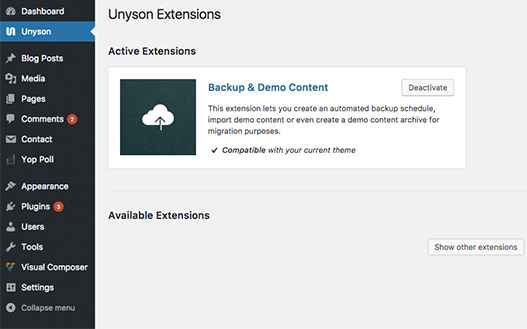 Travelz WordPress Theme is developed by based on Unyson framework which is very secure and fast.you can take your database backup.No hassale to install the demo data by unyson. 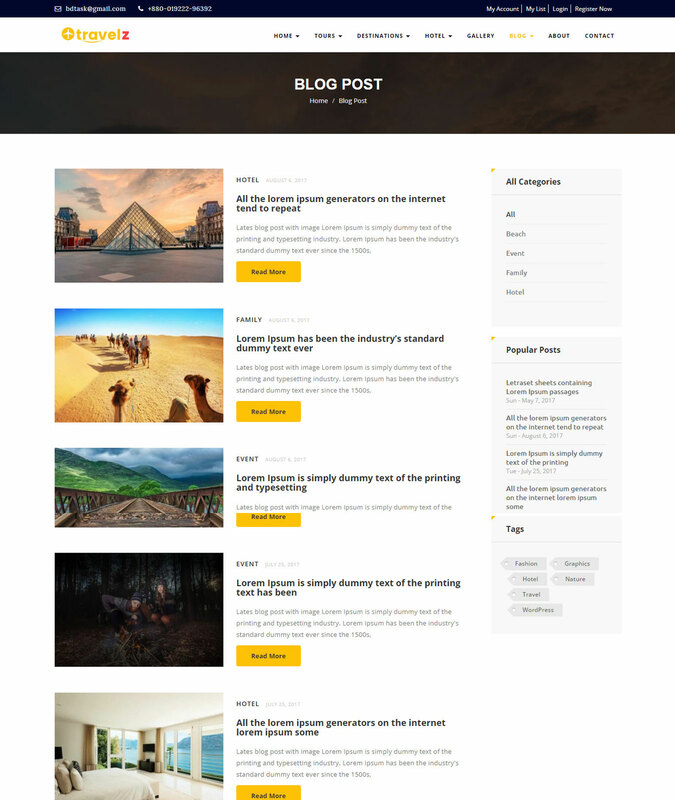 Every WordPress user love to have his theme one click demo installer.thats why we added the travelz wordpress theme as one click demo installation.You just need to upload the theme from theme options and then activate and click on demo install. 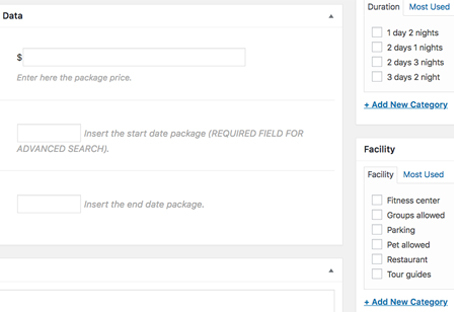 Very easy to customize. 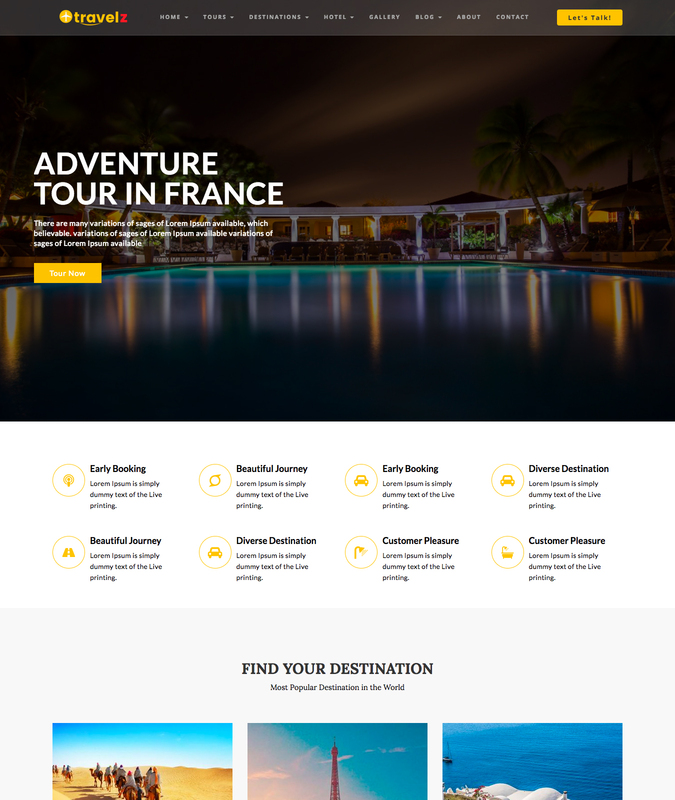 High quality graphics, Best Theme for travel agency.I will recomend it for your business also. 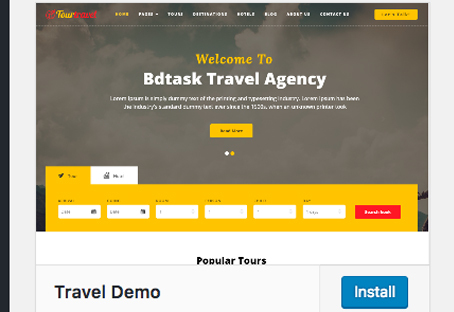 Great Support Love you BDTASK Thank you very much.It gives me pleaser from hard work and spening lots of money. 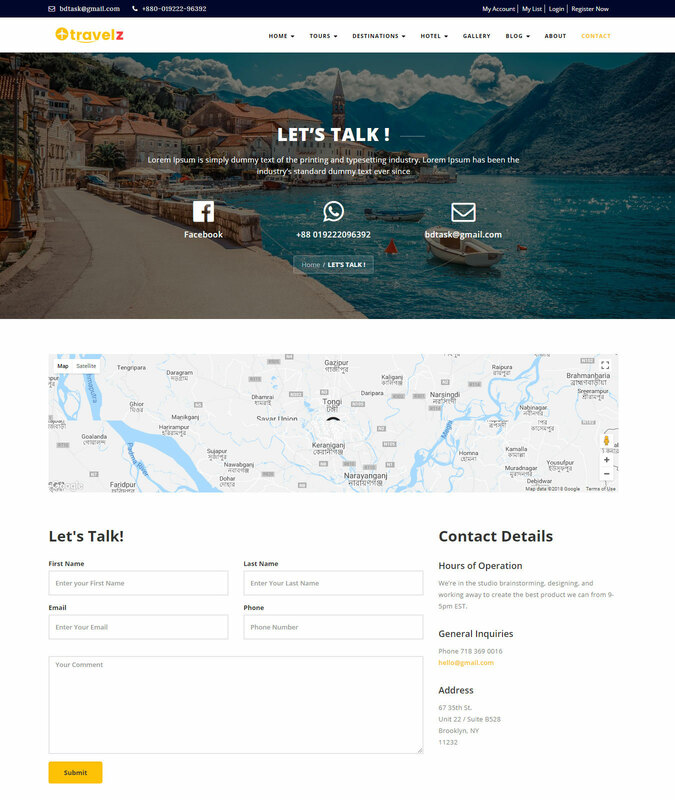 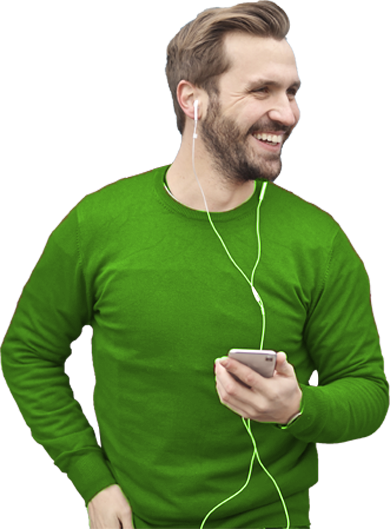 I bought the software for my customers.It is 100% Responsive and customizable.and I am satisfied with their customer support. 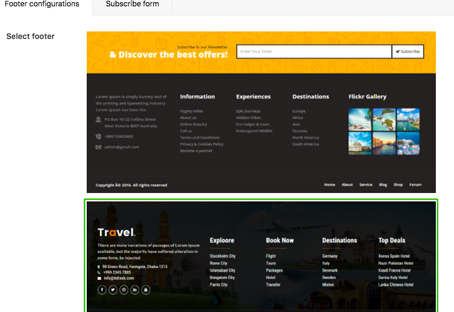 Very Good Support & User friendly interface.I really love to use this application for my Business.